I’ve always been more interested in social and cultural histories than the “great man theory” or the model of “events, dates, models.” I especially like to learn about literature and media in the context of the culture and to show how quickly we forget how recent many trends and ways of thinking are–or how old some “new” ways of thinking are! Great discussion in the article and comments of what cultural history means. This question came up in our research seminar today. I’d actually been thinking about it for awhile, as I consider myself a “cultural historian,” but when pressed, wasn’t actually sure exactly what I meant by that. And, perhaps more importantly, because we hear the term a lot, and I’m never quite sure that others are always using it in the same way. 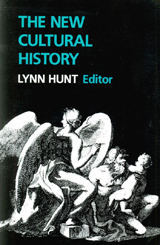 In a seminar last year, we read sections from Lynn Hunt’s The New Cultural History; we were told this was itself a seminal text in, or was representative of, the “cultural turn,” whatever that means. As with most Theory/Historiography books I’ve been assigned, I came out of it with little clear sense of what it was talking about. And so, finding this book to be dramatically different from my own understandings (or assumptions) as to what constituted “cultural history,” I began to wonder, What is Cultural History? Speaking of writing about studying another culture and having humility, check out Toranosuke’s excellent piece on the moment when you realize you how much you don’t know about your field over on A Man with Tea.